For Commercial Production Term 4, we were required to create a 15-second product placement commercial. I modeled 3D candies for the 15-second pieces and controlled the camera movement through 3D Studio Max. But before starting moving stuff around, I had to make things clear. 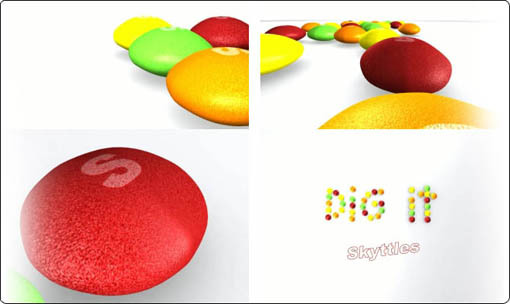 Skyttles was supposed to be a fun experience, these candies are full of flavour, therefore the commercial needed a lot of flavour. The music was an excellent asset, and it took me like 5h. to find a piece of music that felt right, it had to be latin flavoured music. Once I got the music and cut it down to 15-seconds, then I could start moving the camera around, ending with my final shot… my look frame – a general shot of the candies spelling the word DIG IT. Even though my experience with 3D software is not great – I can make my way around it, but I’d rather stay away from it – making this product placement commercial was a lot of fun. And if I had more time that I could spend modeling and rendering, and also count with more powerful computers, I would make these candies move around at the rhythm of the music. 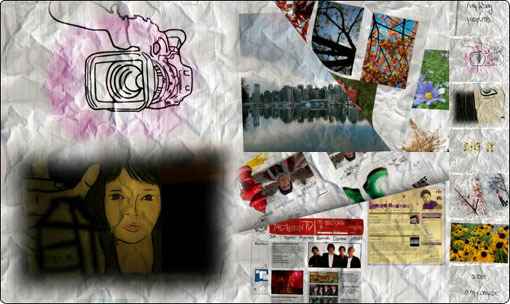 And as many of my projects, the conceptualization process to the storyboarding to the final execution of the piece didn’t vary much from the original idea. Watch Skyttles by clicking this link.